Based on a research carried out by the Investment Company Institute, a Roth plan’s assets skyrocketed to $178 billion as of December 2006. Unfortunately, many people hesitate to participate in this account because they think that the Roth IRA come with stringent qualifications. This article will provide you some eligibility opportunities of no fee Roth IRA, which may be available to you and other soon-to-be retirees. You can make contributions to the Roth account using regular IRA contributions as well as assets converted from your current SEP, Traditional, and even SIMPLE IRAs. To accomplish placing regular contributions, you should present a qualified compensation from the year you’ve opened the account and you must also meet the current Roth IRA account fees. If you are single, your MAGI or modified adjusted gross income must not go beyond $116,000 but not less then $101,000 to contribute to this account. You can contribute funds of up to $6,000 including the catch-up contribution of $1,000 for 2010. For contributors whose MAGI lies between $101,000 and $116,000, note that the contribution limit is already phased out. If you are married filing tax return jointly, the combined MAGI with your spouse must not go beyond $169,000 but not less than $159,000. On the other hand, if you are married but filing separately, your MAGI should not go beyond $10,000. 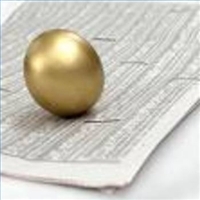 To contribute to a Roth IRA via conversions, your MAGI must not exceed $100,000. This policy applies to account owners who have a tax filing status of single and married filing jointly. You are not qualified for Roth IRA conversions if you have a tax filing status of married filing separately. The best Roth IRA rates are deemed to be achieved by complying with the five-year clock. The chief advantage of this account over a Traditional IRA is the opportunity of tax-free withdrawals. Note however, that Roth account distributions are only free from tax when qualified. To increase the possibility of a Roth IRA distribution of being tax-free, you should determine the earliest feasible start date of the qualifying five year clock. If you own and maintain multiple Roth IRAs, the five-year clock typically begins with the account that obtained the earlier funding. The term ‘to obtain earlier funding’ is different from the phrase ‘the first account that was funded”. Jim set up a Roth IRA no. 1 in January of 2009, and he converted his assets from the Traditional IRA to a Roth IRA no. 1 in 2009. He later opened Roth IRA no. 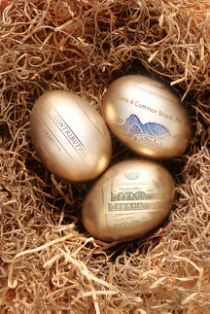 2 in April of 2009, and on April 15, 2009 he completed a contribution for Roth IRA deadline in 2008 to the Roth IRA no. 2. Jim’s five year clock begins not in 2009, which is the tax year when he funded his first Roth IRA — but in 2008, which is the first year that the contributed fund applies to his Roth IRA no. 2. It’s most advantageous to keep a single Roth IRA instead of multiple accounts. This will assist you in minimizing the trade-related and administrative expenses that come with your account. On the other hand, if you believe that you may not be qualified to complete a particular type of transaction (a contribution or conversion) for a specific year, before placing your assets into a Roth IRA, you can keep the assets in another Roth IRA until you determine its eligibility. Should you find a good Roth IRA rate and that the established Roth IRA fees inhibit you from conversion or contribution, owning separate Roth IRAs will aid in eradicating the complex procedure of recognizing the net income attributable to the amount inside the account that should be re-characterized.